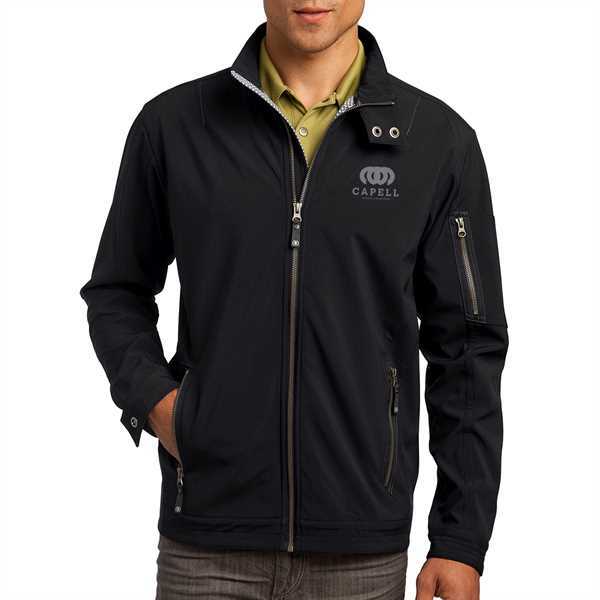 Imprint Location: 4XL Embroidered Location 1 - Get people excited when you make this OGIO Maxx jacket your next promotion! It's made of a 100% polyester stretch shell that's bonded to polyester mesh with a laminated film insert for wind and water resistance. It has a 3000mm fabric waterproof rating and a breathability rating of 3000g/M. Features include a locker loop, cadet collar with metal logo snap closure, metalux zipper with rubber branded zipper pull, left sleeve zippered pocket, front zipped pockets with rubber branded pulls, open cuffs with metal logo snap closures, and an open hem. Other branded details include a heat transfer label, rivets on back shoulders, and contrast stitched O embroidered on back right shoulder. Add your own logo for an outstanding offer!